had a VHS copy but then the dog ate it. Figured it was a sign. Got a ticket to the movie theater and will head in with no expectations. It is worth a watch of course. Hope you had him vaccinated against tape-worm ……. Every time I rang the bell she'd, well, ya know. I'm not a fan. There's something off-putting about it (maybe the costumes and the setting). Also, it has Yoko whining and screaming. I have the DVD and don't see the need for a new copy or to see it in a theater. Rather than the free flowing energetic, raucous stones of before, there's too much posing and forced cool. Meh, it's how they would proceed for the next few years. Plus, Brian is clearly ill, odd and distant which adds to the bad vibes of it. I only watch parts of it to see or hear something when discussions about such and such come up. I agree with you both, except that I love pretty much everything they did in the "next few years" (even if Jagger of '69 was a bit of a poser too). The RnR Circus is an interesting time document, but the Stones (and The Who) were better in '69 and I don't like the circus theme. 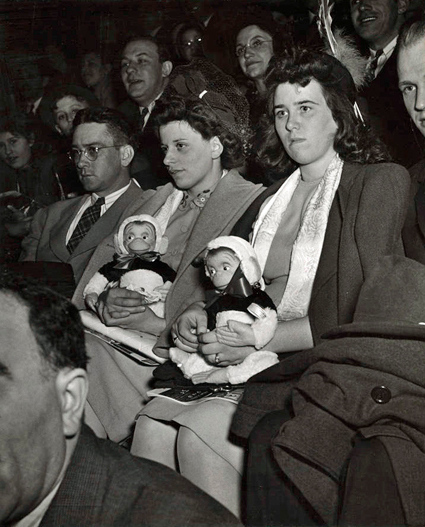 Weegee - Circus Audience circa 1943 ………. I'm not sure if I've ever actually seen it in a movie theater. I think I have, but maybe what I'm remembering is seeing The Who's segment as part of The Kids Are Alright. Edited 1 time(s). Last edit at 2019-03-22 13:05 by GJV. 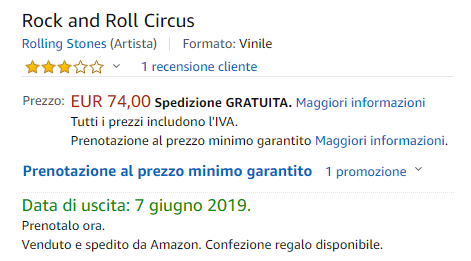 I don't know it this had been posted/said before, but there is (apparently) the tracklisting for the Rock'nRoll Circus reissue. I for one hadn't seen a tracklist yet.....and (seemingly) a reported release date! May 3rd. Edited 1 time(s). Last edit at 2019-04-15 23:31 by floodonthepage. I believe his voice was so weak, no one could hear him. I wonder how ABKCO will divide out all the various musician's royalties? It's to be hoped Brian's Estate gets it's fair share. Don't you think Allen/Jody Klein had their accountants put Brian in arrears forever? There was a sizable payout right before he drowned, and mechanical royalties owed him on reissues would probably have to exceed the payout. Oh well, I'm sure we'll never know the answers to that. Pretty sure no pay out occurred. One was being negotiated (£100k ?) Plus ongoing royalties. But it never happened. Then the group fell out and eventually sued Klein. A settlement was reached in 1972 and Brian's Estate received a payout (about the same amount as Bill and Charlie). Unfortunately, for the Estate there were huge tax liabilities to pay off. But one assumes the Estate does receive ongoing royalties but of course all parties are naturally quiet on the matter.